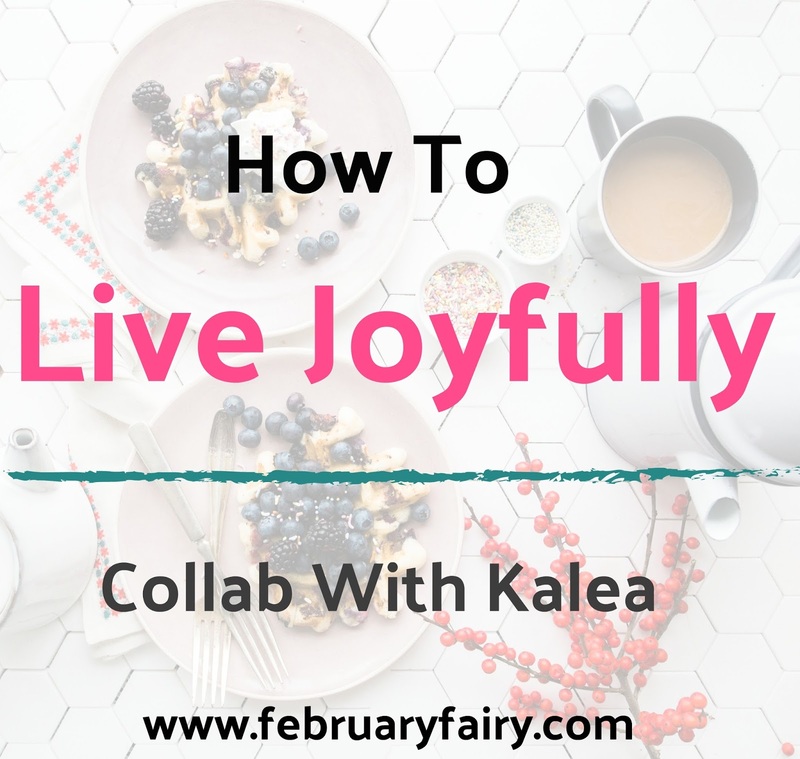 When Kalea and I decided to collaborate on a post about joy I thought it would be easy. "I'm a joyful person," I thought. As I began to write this post, though, I began to re-evaluate the true meaning of joy. I started this post time after time, but I couldn't seem to make it work. It felt as if I was writing empty, meaningless words. And that's when I realized I was trying to tell you how to be happy-not joyful. JOY is a delight of the mind, from the consideration of the present or assured approaching possession of a good. To me, this means happiness is a wonderful feeling when things go your way. Joy is having the hope of Jesus to look forward to even during dark hours. The "approaching possession of good." Now that I have established a foundation of what joy is, here are 3 ways on how to live joyfully. One of the main causes of depression is having un-meet-able exceptions for life, others and yourself. When you wake up in the morning do you usually think which of the following. Person A: "Well, I have so much to do today. I can't believe I didn't get up on time. Dang it, my room is such a mess. Why doesn't my sister ever clean up her stuff?" Person B: "Look at how gorgeous the sky looks today! It was so nice of my mom to let me sleep in since she knew I was extra tired. Man, my sister sure had to leave early. Maybe I can make her bed for her." If I am completely honest, I'm usually person A in the morning and during life in general. If I was the one reading this post would I judge person A? Absolutely! See? Right there is an example of having high expectation for others. I can't tell you how to lower your expectation since everyone is so different. But I wanted to throw it out there was something to become aware of. If you do the exact same thing every singe day you''ll become terribly bored! So try to mix up your days. Instead of having the exact same type of cereal in the morning, try out a smoothie. Learn about Jazz, or take up a new hobby. My point is, experiment in your life! A healthy body is makes a healthy life-or joyful, to stick with the theme. When I exercise I have load more energy and feel far less iritable. I challenge you to exercise for you week and see how you feel. "One day or day one, you decide." What are a few way you stay joyful? What's your favorite workout routine? I'm looking for a new one. What does joy mean to you? Have you checked out Kalea's post? I am SO glad this helped you even a little. <3 Same. You can do it, Lydia! We can do it! Thank you so much for reading it. Aww, this comment literally made me smile. Thanks a million, Maddy! You too!!! Gah, you're too kind. *blushes* So did you! So true! Most people seem to get happiness confused with joy and it's NOT THE SAME THING!! These are such good tips! Thanks you for sharing! YES, YES, YES! They're extremely easy to confuse, but it's so helpful to know the difference. Thank you for your sweet comment! I love this, Ella! It's so easy to confuse joyfulness and happiness and get ourselves into that complaining mindset, but as usual, your tips are amazing. Thank you! LOL, it's good to know I'm not the only one. Variety is the spice of life, after all! Yup, yup. Definitely very helpful. Ahaha, me too! I agree with this, but I’d also suggest maybe not expect anything at all? Sometimes the best surprises are when we are least expecting it!!! Great collab!!! Ahhh I loved this! Because a) I'm writing a post like exactly like it at the moment lol #greatmindsthinkalike and b) I'm all about being positive and joyful! Thank you!!! GIRL. We must be soul sisters or something. EEP, me too!